Savannah Inspired Low Country Elegance... This stately lake home belongs on the cover of Southern Living! 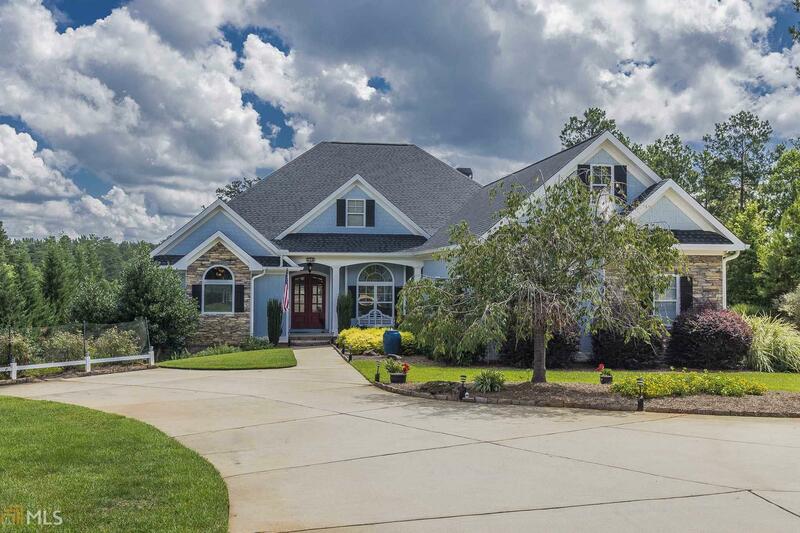 5 bedroom 4.5 bath with sep office overflows with graciousness. Entertainers dream - Wide open plan could accommodate any size gathering. Upgrades galore - 10 foot ceilings and 8 foot doors - generous granite kitchen with over sized bkfast bar, wine bar, and SS appliances. Flowing hdwd flooring on main level. Lakefront master suite with ultra luxurious bath -claw foot tub, sitting area, custom cabinetry, large shower... 2nd master suite on main level. Expansive lakeside screened porch. Wide open terrace level w/10 foot ceilings loaded with entertaining space, enormous workshop, wet bar area. Abundant storage. 3 car garage w/10 foot doors. Dock with slip.